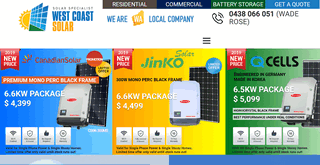 West Coast Solar provides solar panel installations in Perth. We have vast experience in dealing all kinds of solar installations. Contact us now for more details.